White, red and black is the most elegant and stylish color scheme. For an online shop that sells wheels, tires or other car accessories that's a win-win combination. 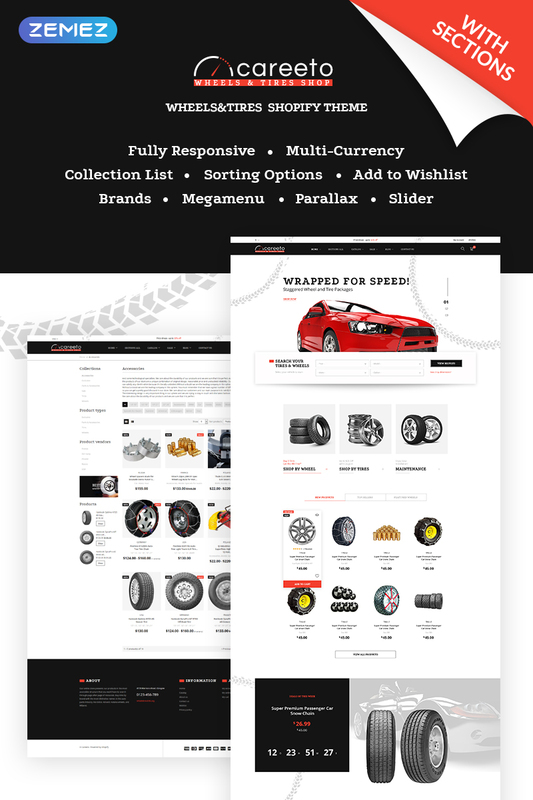 Careeto Shopify template is a perfect choice for an online car stuff store. The shopping functionality is super convenient: every product has its own card you can preview, add to shopping cart and compare with other product cards. 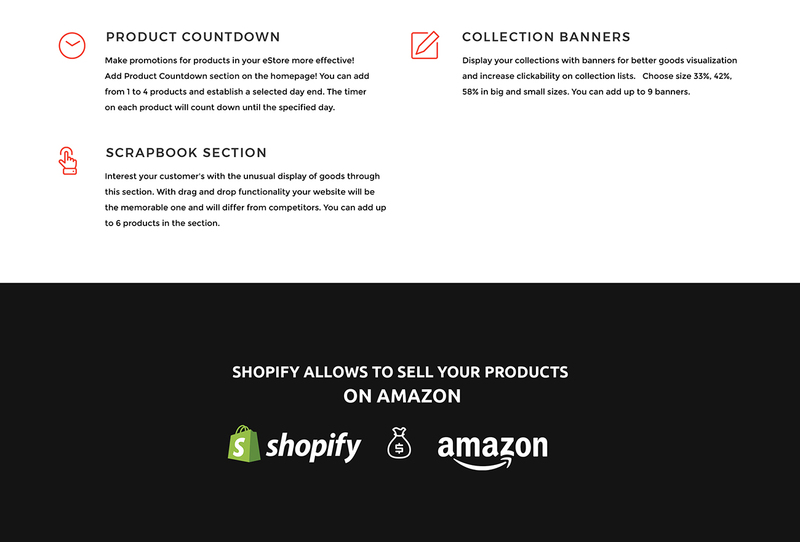 The product categories are nicely organized and understandable for customer, so he will find the product he is seeking for fast and purchase it without any issues. And just look at that breathtaking slider on the top!